Rio de Janeiro is using the Global Protocol for Community-Scale Greenhouse Gas Emissions Inventories (GPC) – the first internationally accepted standard for measuring city-level emissions – to inform actions on climate change. Photo by Gerben van Heijningen/Flickr. 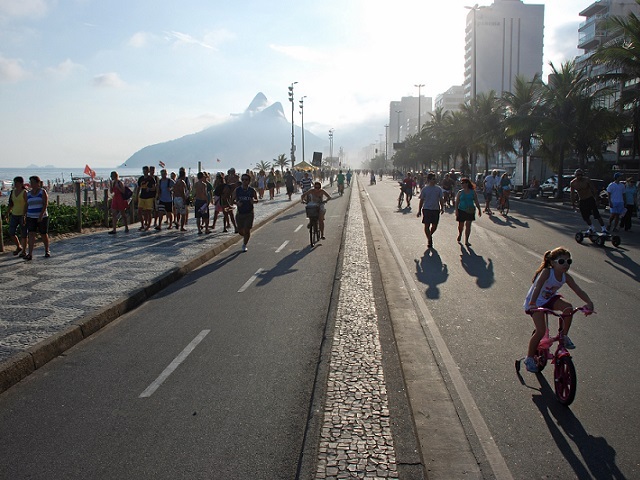 Rio de Janeiro is one of the world’s leading cities injecting sustainability into its planning. In 2011, Mayor Eduardo Paes enacted an ambitious climate change law, setting a goal to avoid 20% of its emissions by 2020, based on 2005 levels. There was only one problem: the city wasn’t sure just how much it was emitting, or where its emissions were coming from. Rio officials tried taking inventory of its 2005 emissions, but there was no international standard for how to do this at the city level. The result was incomplete and inconsistent with how other cities were calculating their own emissions. So with support from the World Resources Institute (WRI), Rio turned to an early draft of the Global Protocol for Community-Scale Greenhouse Gas Emissions Inventories (GPC). By using the standard, the city figured out that transport and waste were the biggest contributors to its overall emissions – at 39% and 19% respectively, and that targeting emissions reductions in these sectors would help meet its 20% target. Today, WRI, the C40 Cities Climate Leadership Group, and ICLEI – Local Governments for Sustainability are launching the final version of the GPC, which was developed over three years, incorporating implementation lessons from cities around the world, including Rio. It’s the first internationally accepted standard for measuring emissions at the city level, and empowers cities to accurately identify where their emissions are coming from, set credible and achievable reduction targets, and consistently track progress. When it comes to the battle against climate change, cities are at the frontlines. For one, they’re the largest source of the problem: roughly half the world’s population lives in urban areas, and cities produce 70% of energy-related carbon dioxide emissions globally. Already, emerging cities are catching up to developed cities in their emissions. The Chinese cities of Beijing, Shanghai and Tianjin, for example, have per capita emissions similar to those of large European and North American cities. And the environmental impact of urban areas is poised to grow – cities are expected to gain 1.4 billion people in the next 20 years and attract trillions of dollars’ worth of investments. Yet cities are also starting to take action. Rio is one of 35 cities that pilot-tested the GPC, and the number of cities currently using it has risen to more than 100. These cities represent about 1.1 gigatons of greenhouse gas emissions and are home to more than 170 million people, comparable to Brazil’s entire emissions and population. 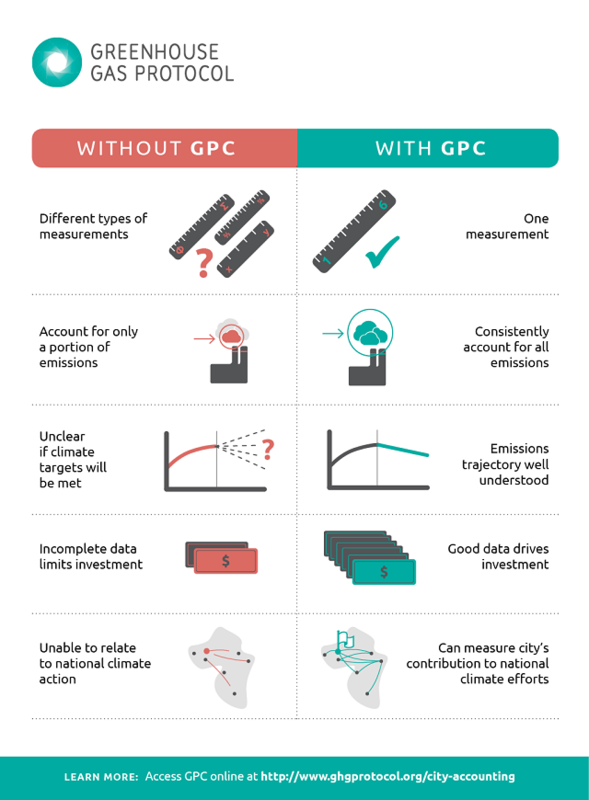 Leveraging the networks of C40, ICLEI, and the WRI Ross Center for Sustainable Cities, the number of cities using the GPC is expected to grow in the coming years. These commitments amplify those of the Compact of Mayors initiative announced at September’s U.N. Climate Summit, which convenes city leaders to set ambitious emissions reductions goals and publicly disclose their performance using the GPC. As for Rio, city leaders haven’t rested since determining the source of the city’s emissions in 2011. Officials launched a climate action plan directly targeting its two main emissions sources. To curb emissions from transport and limit the increased reliance on private cars, the city is expanding its bus rapid transit (BRT) network to include three additional lines by 2016, bringing the total BRT network to 150 kilometers (93 miles). In combination with efforts to improve fuel efficiency and expand the use of biodiesel, these measures are expected to help meet the statewide goal of reducing emissions from transport 30% by 2020. The city has also overhauled its waste management system, including closing one of the world’s largest open-air landfills, the Jardim Gramacho. This act alone is expected to reduce greenhouse gas emissions by 1,400 tons per year. The city is making progress, but it still has work to do. Last year, in conjunction with a GPC pilot test, Rio completed its 2012 greenhouse gas inventory. The inventory indicates that the city has avoided 378,000 tons of emissions so far, falling short of its 2012 target of avoiding 929,000 tons. And despite Rio’s expanded use of public transport, car ownership is still on the rise, with 47% of Brazilians believing that owning a car is vital. Still, armed with an accurate inventory and comparative assessment against its target, the city can now take more ambitious, focused actions to meet its long-term climate goals and set it on the right track for a low-carbon future. As national leaders in Lima debate how to address climate change, they can look to cities like Rio and tools like the GPC for ways to advance the conversation and take action.